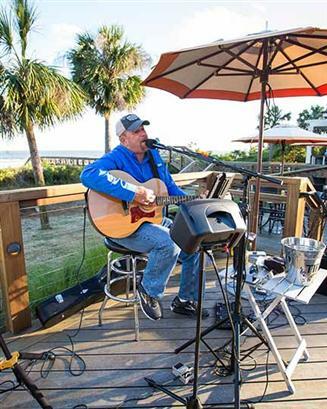 Enjoy live entertainment every night at Coast from 5-8pm! Specializing in fresh, local sea fare, Coast is a beautifully appointed restaurant with stunning oceanfront views. Located at the world-class Sea Pines Beach Club, Coast provides an unparalleled culinary atmosphere with a breathtaking view of the ocean – the only place on Hilton Head Island to serve such an experience. Enjoy a libation at Coast’s beachfront bar, offering a casual and relaxing atmosphere, spacious wrap-around bar, a variety of specialty drinks and frozen cocktails and seasonal evening entertainment. For more information, call the Coast at (843) 842-1888 or seapines.com.